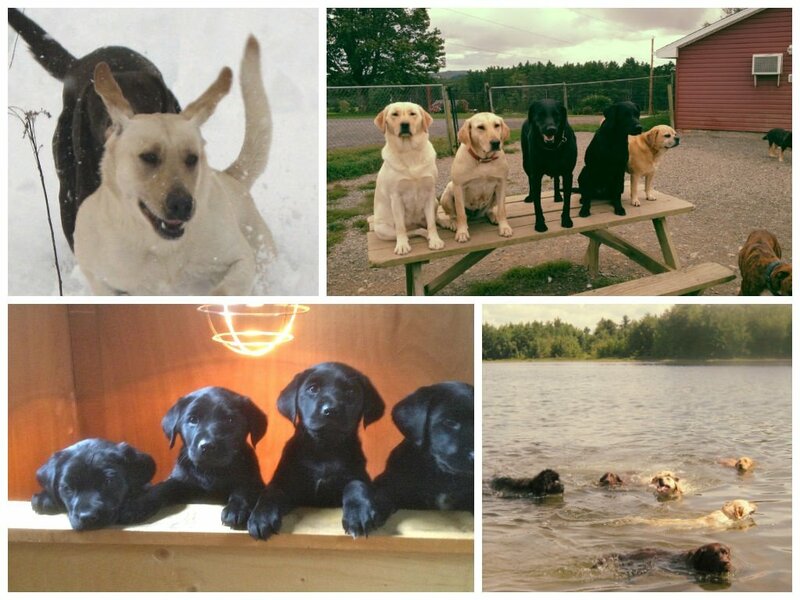 For over 40 years Rockmaple Kennels has been breeding Labrador Retrievers. Peter's father Arthur Dauphinee started breeding in 1973. Our pups are pure bred and registered with the Canadian Kennel Club. We breed the American or Field Trial style of Labrador Retriever. They are tall and lean with a narrow head. Compared to the English style that are short and stocky with a wide head. On average we have three litters a year. The litters usually take place in the early spring and the fall. If you would like one of our pups call us and arrange a time to meet our dogs then we can place you on the waitlist. We usually have 3 to 4 litters a year. Yellow and Black Labrador Retrievers. We keep them for 7 1/2 weeks after they are born. All pups are registered with the Canadian Kennel Club. They receive their first vaccinations with us at 6 weeks old they then need two more sets after that.